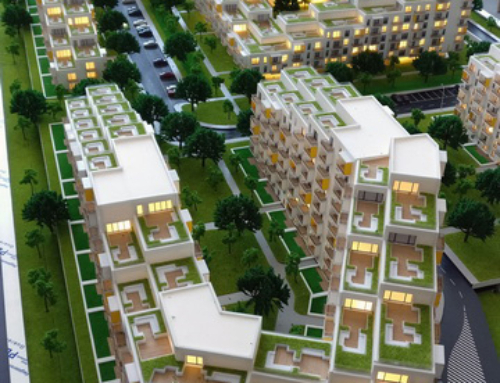 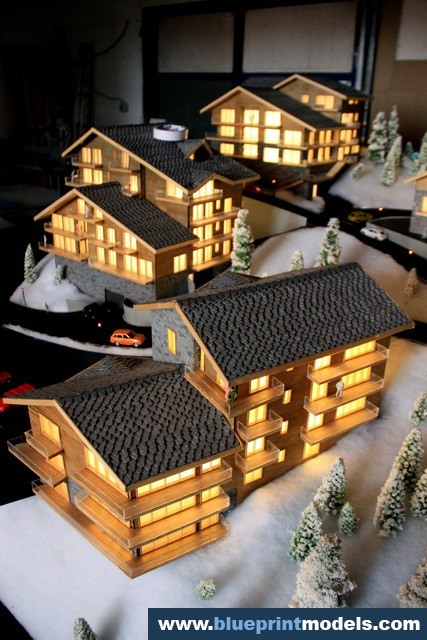 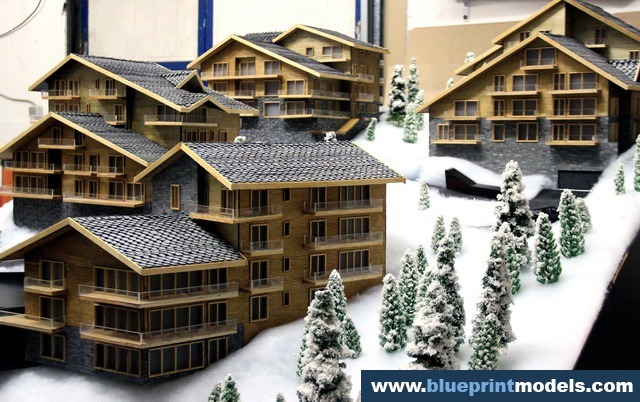 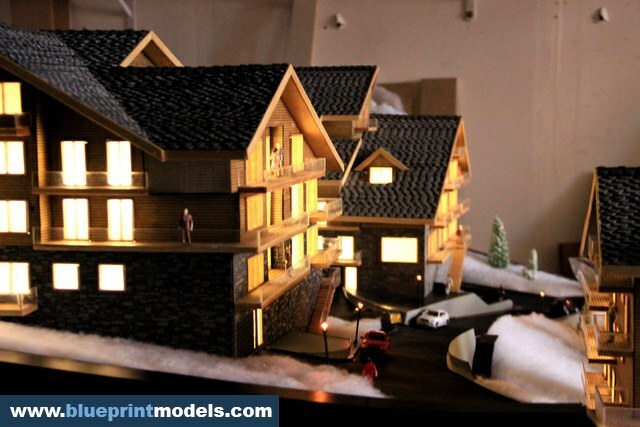 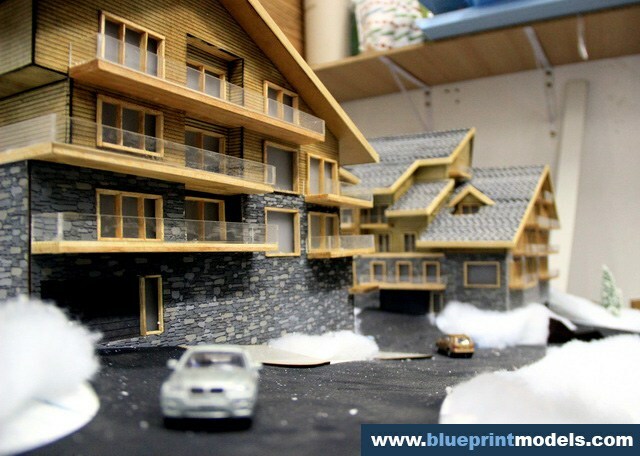 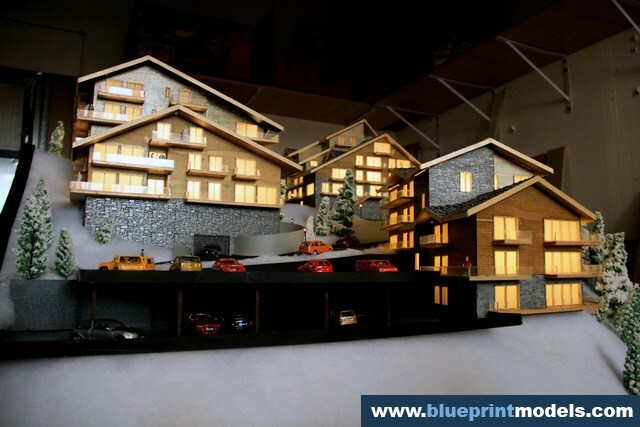 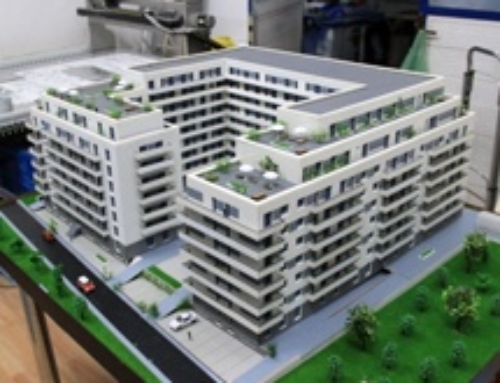 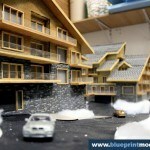 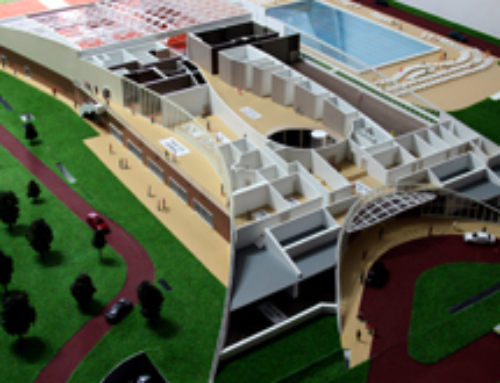 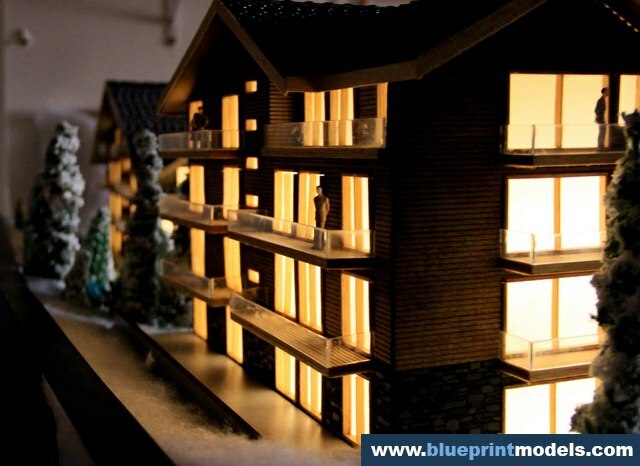 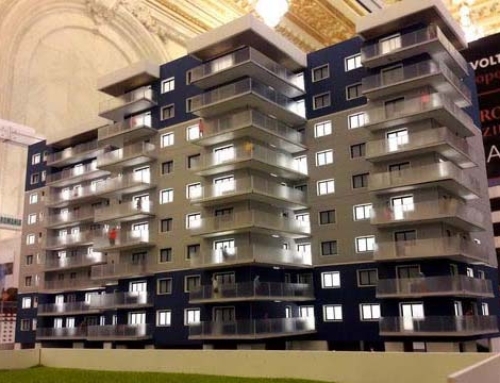 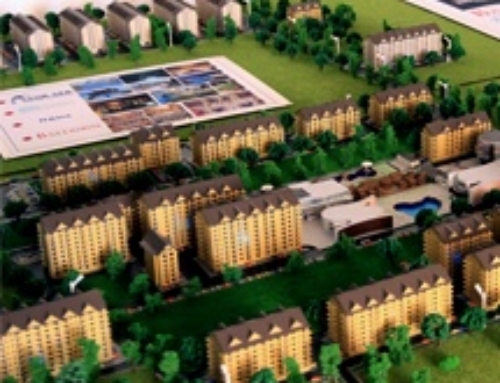 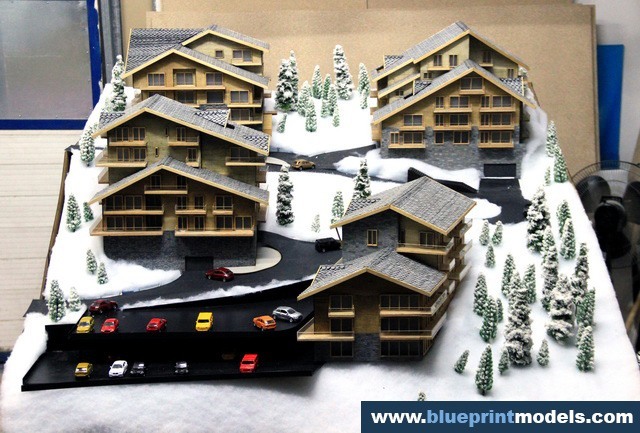 This is a scale model of a residential villa complex in La Tzoumaz, Switzerland.The four villas feature several apartments each, and were built on a 1:50 scale in order to present to potential buyers details such as facade and roof finishes, and sloped land placement, so that they can choose the apartment that best fits their needs. 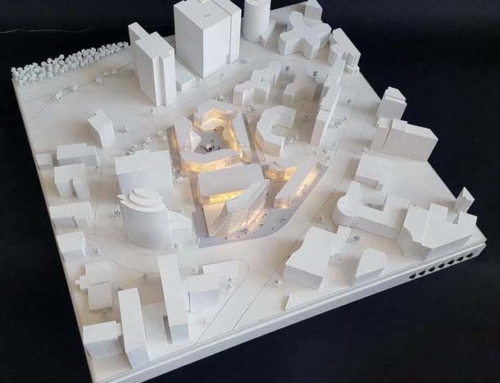 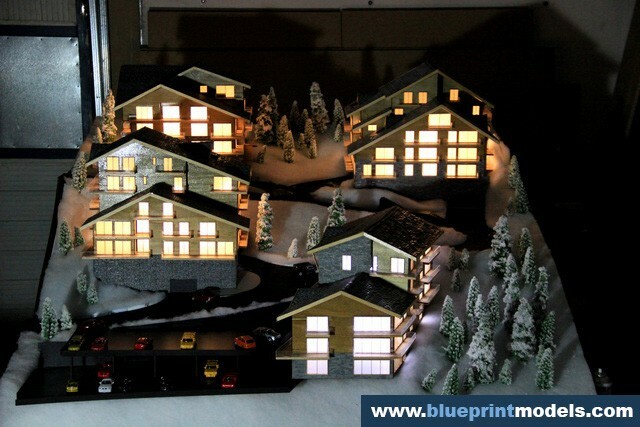 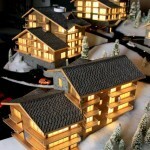 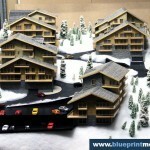 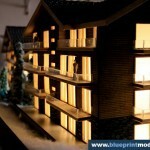 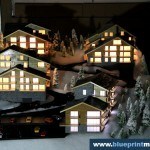 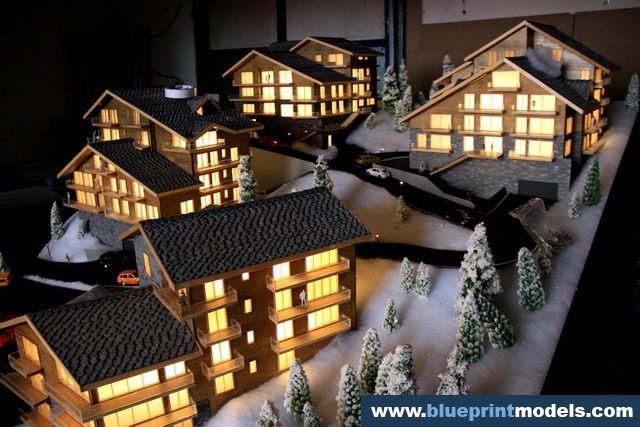 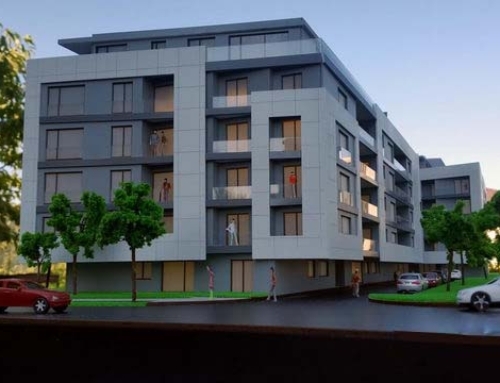 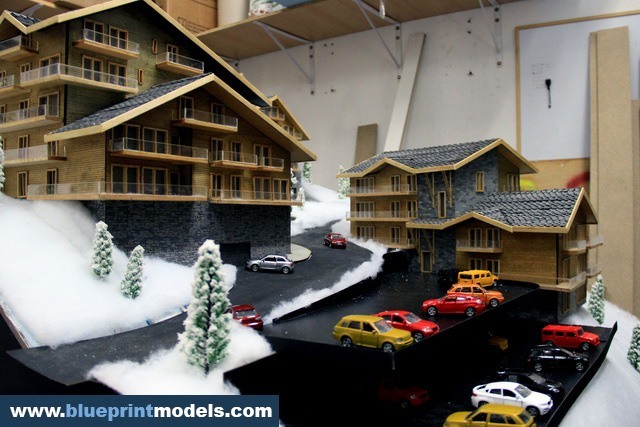 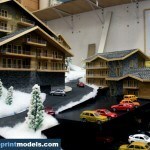 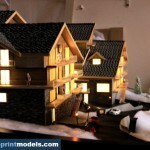 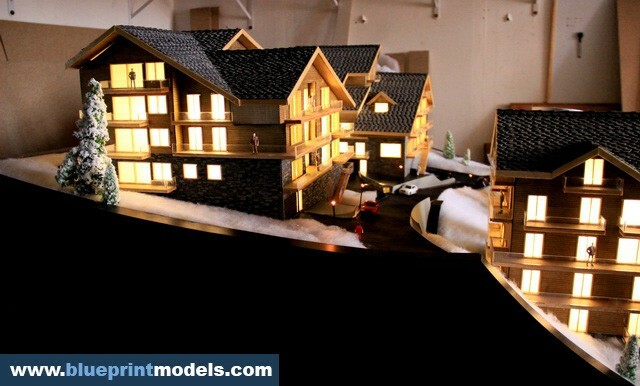 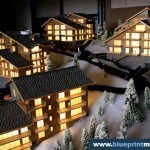 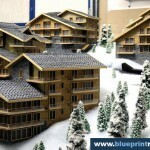 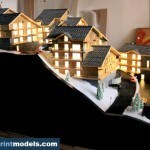 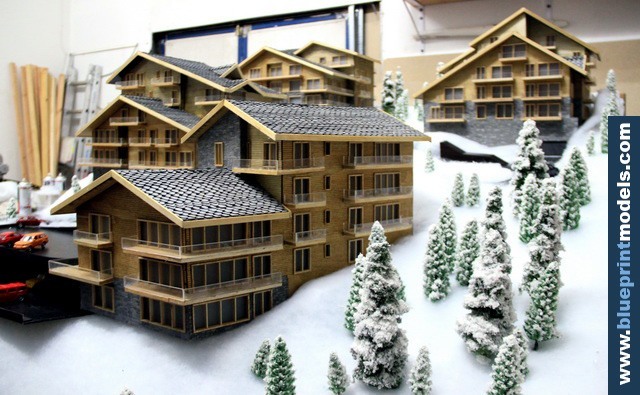 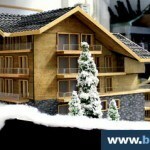 As the complex is located in a ski area, a winter landscape was deemed appropriate. 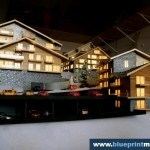 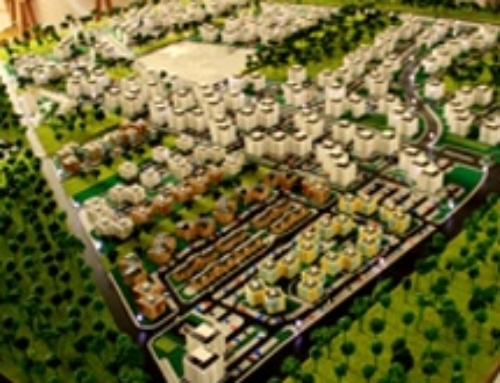 For more information about the project, you can visit this website.